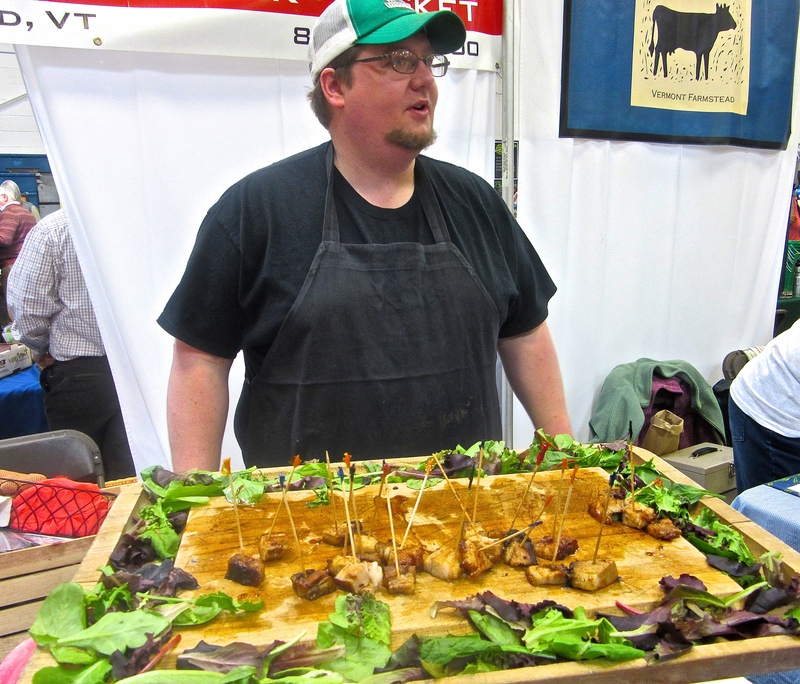 It’s really not that hard to eat local and eat well in the Upper Valley region of the Connecticut River, and the recent Flavors of the Valley expo reminds us of that the food and farm connection is a healthy one in our region. I spent a morning navigating the booths and tables overflowing with local bounty. This year’s event coincided with one of the first true spring days of the year. I was surrounded by happy farmers, chefs, and locovore lovers so it didn’t take long for me to be filled with the optimism of the perennial gardener. It was fun to schmooze and also to learn. 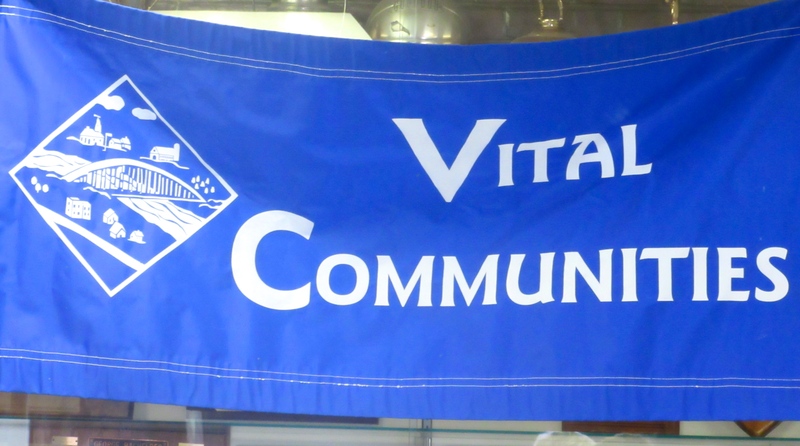 For 15 years, Vital Communities (http://www.vitalcommunities.org) has sponsored this event, which is both educational and delicious. Consumers, farmers, and also schools benefit from their efforts, and the Flavors gathering is a wonderful celebration of their commitment. It’s also a chance to see what’s new on the local market. 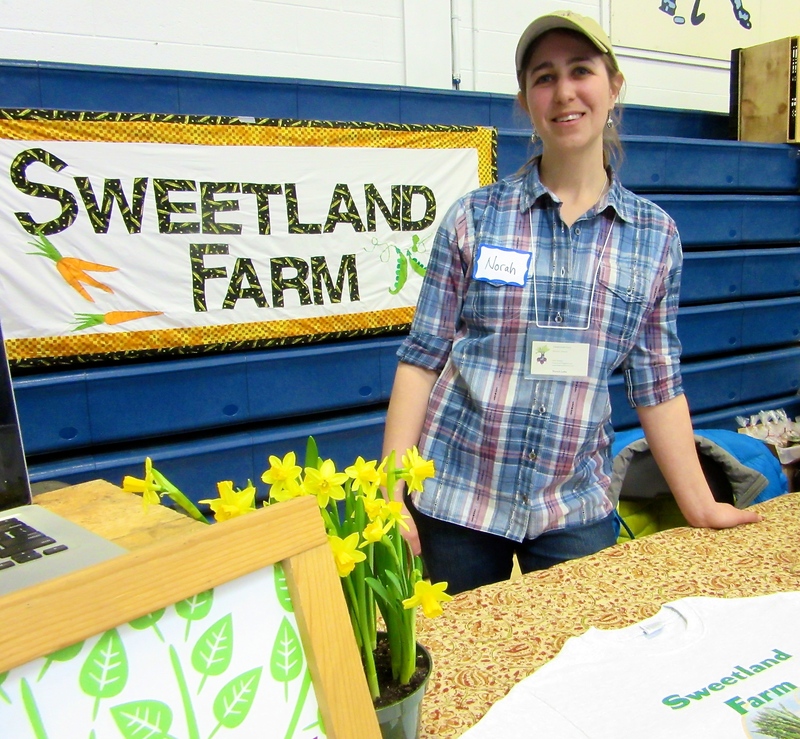 Meet Norah Lake, proprietor at Sweetland Farm in Norwich, VT, a CSA that runs from mid-May through October. Shareholders can enjoy the farm firsthand when picking up produce. Sweetland also delivers to several central locations. They sell their own processed meats like pork, chicken, and lamb, and shareholders can get honey, eggs, flowers, and herbs, too. I’ll be gathering my own brown bag from the Sweetland Farm CSA this summer. What a great source for healthy, local food. 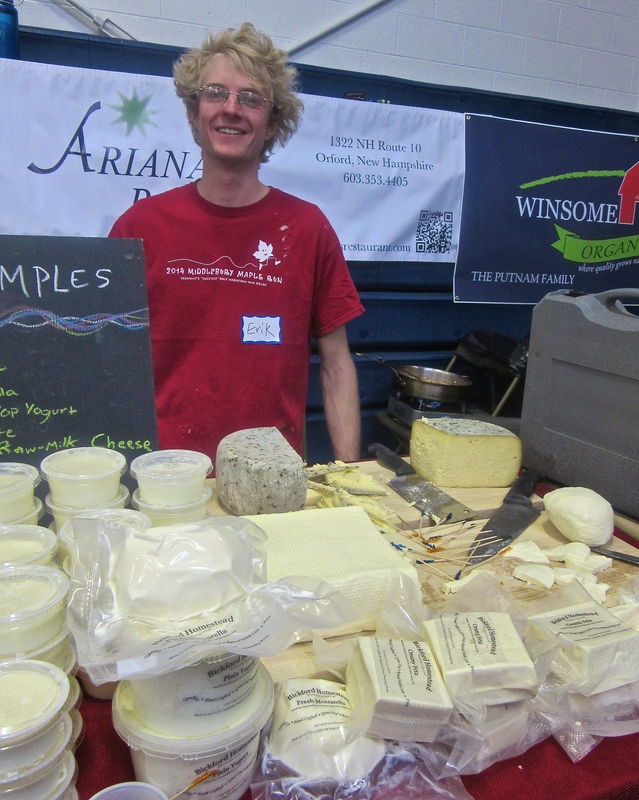 Next meet Erik from the Bickford Homestead Cheese of Peaked Moon Farms. I sampled a creamy and tangy cow’s milk feta, which was definitely over the moon. There was a fresh mozzarella, too. 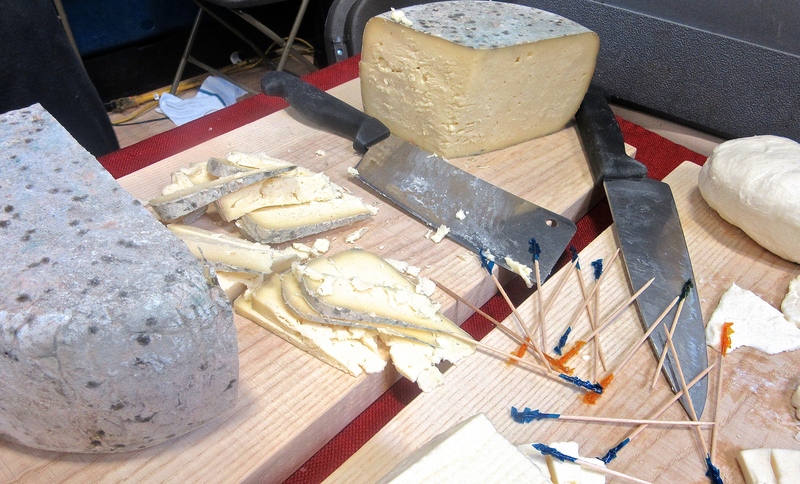 These young cheeses were superb, and we can look forward to more aged cheeses from them in the future. Alice Mower of Alice’s Kitchen out of Cornith, VT tempted everyone with her light, crispy and buttery maple cookies and smooth rich chocolate sauce varieties. I purchased her peppermint chocolate sauce, but equally swooned over the almond flavored variety. 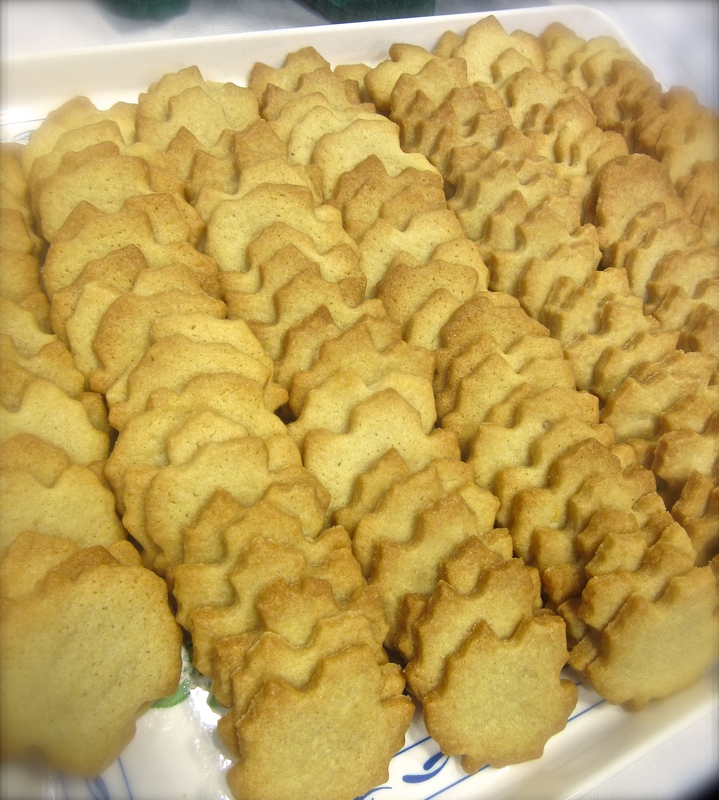 Her confections are refined and indulgent sweet treats. Next, I made a beeline for the hot food buffet tables. Chef Eli Morse, director of food services at the Hanover Consumer Co-op Society was dishing up a creamy polenta topped with a tender veal stew. 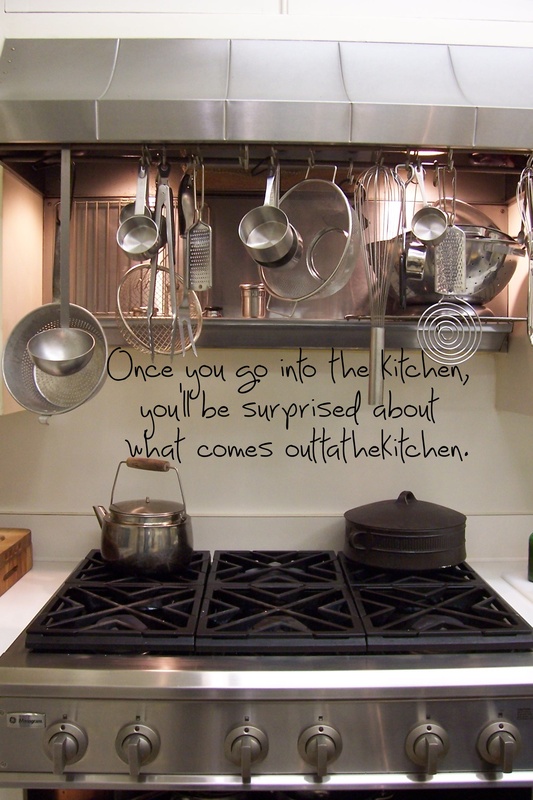 I spied pulled chicken sliders and classic whoopee pies lined up on the table from Pine, the Hanover Inn’s anchor restaurant, but opted for a more hearty macho kitchen cuisine. The notorious local BBQ joint called Big Fatty’s BBQ out of White River Junction, Vt, (a growing hipster haven for great food, art, theater, and generally funky stuff ) was getting a lot of attention. Brandon Fox, Big Fatty’s keeper of the smoke pit, had just set out chunks of luscious smoked pork bellies. He enjoyed the compliments, but assured folks that a crispy version of the fragrant meat was in the works. Consider BFBBQ for your next catered event. With the growing interest in sustainability education, local products and regional cuisine, I predict that the Flavors of the Valley event will be forced to seek a new venue. I had to sidestep over bales of hay, composts devices, tree surgeon displays, and flower pots. Many of these vendors are now popular and familiar faces at the local farmers markets during both the winter and summer seasons. 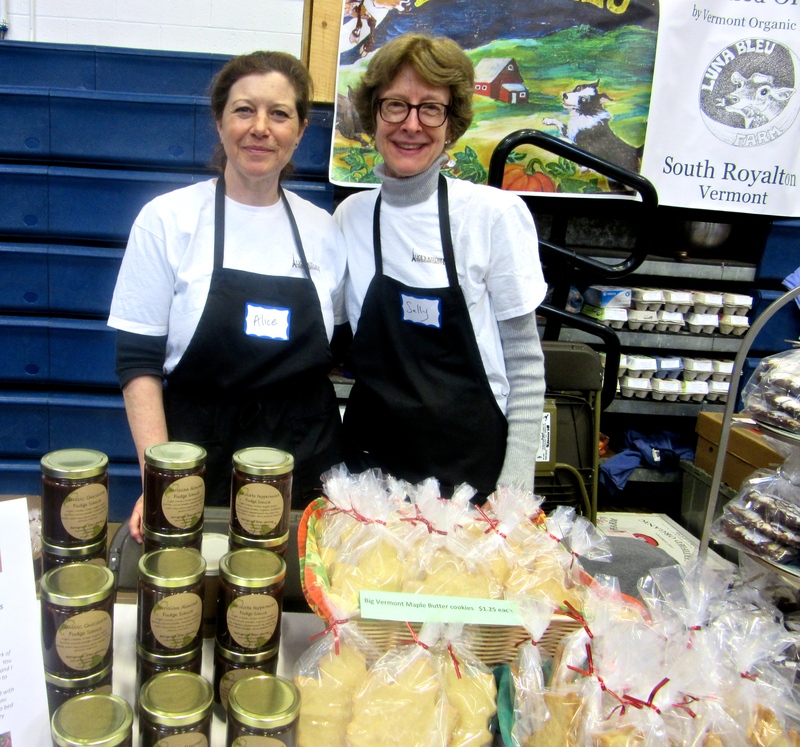 The Upper Valley grows really good food and is supported by an enthusiastic public working together to forge a powerful and delicious farm to table network. This year, nearly every farm table display was awash in giant bags of carrots. It must have been a banner year for the sweet root vegetable; one table even had a large basket of them with a sign that said “Please Take One.” Many obliged as I saw numerous folks chomping on the orange veggie like Bugs Bunny, but I by-passed the healthy treat, collected my free petunia, and headed out the door toward the re-awakening Connecticut River valley.